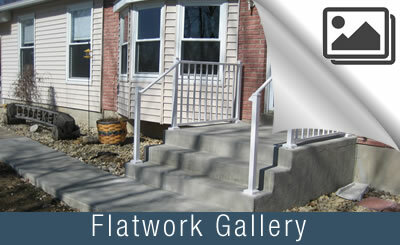 Flatwork for sidewalks, floors, steps, slabs and more. For all your Concrete Flatwork, there is one to call! Concrete is a most versatile and durable building material. That is why concrete is the preferred choice for sidewalks, floors, steps, slabs and any area that needs a solid durable surface. Midwest Concrete has been trusted time and again by home owners and businesses to construct their next concrete flatwork project. Our crews have poured thousands of yards of concrete for floors, sidewalks, stairs and slabs with precision and expertise. From the street to the garage, your next concrete project by Midwest Concrete not only adds visual satisfaction, but also adds long lasting quality and value. Call us today to schedule your free estimate. Midwest Concrete offers the best concrete flatwork construction in the St. Louis Area! Concrete Flatwork and Paving Construction, Design and Ideas. Boasting thousands of possible designs, color combinations and patterns you can count on concrete as you next building material. 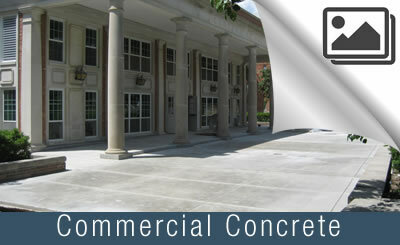 With all of the amazing characteristics that concrete has, it is the product of choice for the educated consumer. So, why should I choose Midwest Concrete for my next concrete flatwork project? We have poured tens of thousands of yards of concrete flatwork in the St. Louis area. That’s a lot of concrete! The quality of a completed concrete driveway always begins with good planning. Since 1978, Midwest Concrete and Construction has specialized in helping customers in St. Louis, MO metro area with quality concrete driveway construction. We can help you design a beautiful concrete driveway that you’ll be proud of, has great functionality and adds value to your property. Midwest Concrete crews will give you the personal attention that will leave you feeling confident in our concrete construction services. Using only high grade concrete, paired with knowledgeable and talented concrete experience, Midwest Concrete is your ideal choice for dependable, professional quality craftsmanship. You driveway will never look the same with help of Midwest Concrete. 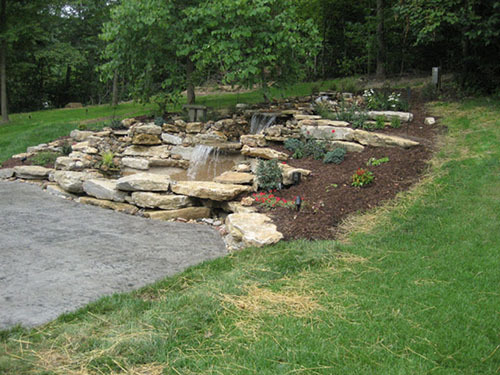 Call us at 636-451-5424 or contact us online to start your concrete driveway project. Schedule a FREE Concrete Estimate! It is true that concrete cost more than a basic asphalt, however a concrete structure will be the better value. Why? They are Longer-lasting, require less maintenance, and cost-effective are the top three reasons people choose Midwest Concrete and construction. There are all sorts of Do It Yourself sites and concrete calculators websites that will lead you to believe it is easy to do, or cost too much, or is extremely cheap. However, with over 36 years of being in business we can tell you that every situation is unique. That is why Midwest Concrete offers onsite free estimates. We’ll talk with you about choice, the size of the driveway, how it will function, concrete finishes and then provide you with a true estimate on constructing your new driveway. Home built in 1948 was moderately leaking where the poured concrete walls met the concrete floor in unfinished basement espicially when the water table was high. The crew jackhammered the floor around the wall and installed in a drain sysytem that pumps water to outside of the house into the yard. Took them a little longer than expected but that was because the basement floor was so thick. They kept us informed, had no problem with us checking on their work, we do not live in the house now its a rental. When they were finished we checked off their list, everything was as should be and the basement was cleaned. We used this company because their bid was significantly lower than the other bid. This being said, this company did excellent work and we have had alot of rain in the past 2 months and its dry as a bone. We would recommend this company. They also provide you with payment options. This is by far the most professional contractor I have ever dealt with .They know what they are doing ,there very good at what they do and most of all they take a lot of pride in what they do and they refused to cut corners. They only use top quality products in doing the job. Another plus is they listen to what you're asking for and they do the very best to supply you with what you want and they will go beyond what you're expecting. I just can not say enough about the professionalism of Tom and his crew. Bottom line. I highly recommend this company and I will use them in the future. Midwest Concrete poured a new stoop, sidewalk and driveway at my home. It went very well. The owner oversaw much of the work and in some cases did the work himself. He even put an extra coat of sealant on our driveway without us asking. We had no trouble getting in touch with him when we needed to discuss the color and style of walk we wanted and the timetable for completion of the job. Concrete patio with brick border installed. Tom, Ben and the crew did a fabulous job on my new patio. It is concrete with a brick border. My neighbors are already planning to have Midwest Concrete do work for them. Removal of old deck, removal of a tree from backyard, poured stamped cement patio. These guys were great in all aspects of the job, although communication could have been a little better between us all in all it was a good experience for a first time home owner dealing with contractors. They installed a downspout drain system in the back of the house, tore out old wooden steps and concrete pads and poured new concrete steps plus a small patio. Also, they installed 2 new patio doors. Everything was completed as promised. There were several workers involved and all were very accommodating and professional. I had a patio is disrepair which needed to be fixed. Contracted them to pour a new patio and stamp it. It went well. Tom and Ben were polite and answered questions I had about care and maintenance. They were able to get the patio done quickly and it turned out fantastic! I look forward to years of enjoyment. Excavated, formed and poured front and back concrete sidewalks and steps. The sidewalk project Midwest completed for us went extremely well! The pour was done Friday morning, February 5th, 2016 and the Midwest crew did a terrific job. The walks and steps look great! Additionally, I had asked the foreman to dump the excess concrete in the ditch along the street below our culvert. When checking on this the next day I found the excess concrete had not been randomly poured into the ditch. Instead the crew had taken the time to use the excess to create storm water entry and exit ramps at both ends of the culvert. Wow! How cool is that?!! This example of above and beyond customer service is hereby recognized and duly appreciated! The Midwest employees were courteous and professional and they kept us well informed as the work progressed. I appreciate their efficiency and craftsmanship. We couldn’t be happier with the results! Tore out original driveway and layed the foundation for a new driveway and poured and finished the new driveway. MIDWEST CONCRETE & CONST INC did a fantastic job on our driveway! We watched them work on THREE other driveways (over the past year and a half) on our street and were so impressed with the quality of materials that was used and for the look of the final product that we were willing to wait for MIDWEST CONCRETE & CONST INC to do our driveway. Two of my neighbors have already asked who the contractor was that poured our driveway and we are happy to say "MIDWEST CONCRETE & CONST INC," so Tom and his crew will most likely have more jobs from our street in the near future. Also, Tom's Crew worked in a professional manor EACH day they were on the job site! I will recommend MIDWEST CONCRETE & CONST INC to EVERYONE! Removed and replaced old sidewalk that leads to front door and concrete side walk on backside of house. Awesome job! Both areas were replaced with aggregate concrete with dye coloring mixed in concrete! Finished product is beautiful! When initially discussing job with Tom he provided a recently completed job I could go see that was done with aggregate and the colored dye. I appreciated this because putting dye in concrete was something new to me and I was a little unsure. Wow, is it it ever beautiful! Tom was full of great ideas, improvements and positive changes we hadn't even thought about. He was easy to talk to, not pushy and listened to our concerns. Tom's group of workers are great too! Their teamwork and eagerness to please was continuous from start to finish! I truly wish we would've found them years ago! Replaced a section of concrete driveway, and removed decayed wood from all expansion joints and replaced these with Vulkem caulk. Replaced concrete threshold at the base of the driveway-basement doorway. 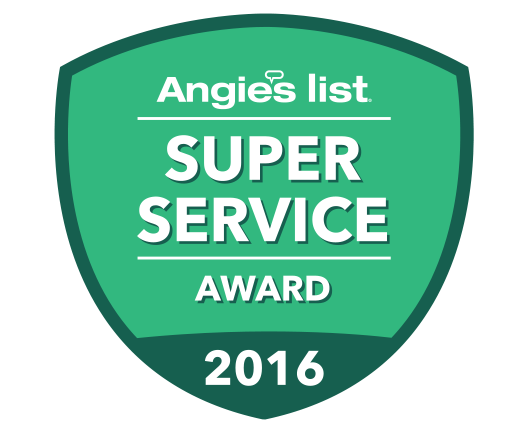 I was pleased with the work this firm performed for me this month (November 2015), and was very impressed with the owner's expert knowledge of concrete and paving practices. My project was small -- mostly driveway and sidewalk repairs -- and most of the St. Louis area concrete firms I contacted were not interested in undertaking my project and didn't have the courtesy to return my calls or send an estimator to my house when they said they would. My experience with Midwest Concrete was very different. Owner Tom Silber personally visited my house and prepared a free estimate for me, and his knowledge and recommendations were so impressive that I knew I need look no further. I wanted his firm to do the work, and it proved to be a good decision. I am very satisfied with the work his employees did for me and would certainly recommend his firm to others.